View cart “RAW DESIGNS SALT AND PEPPER COMBO” has been added to your cart. 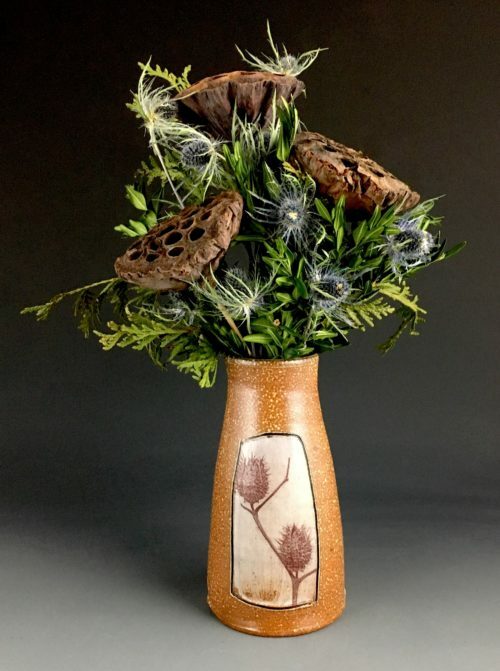 Francine Ozereko’s clay pieces are lively, playful and fun, but are masterful examples of the sgrafitto technique of carving down to the white clay from an over-layer of black slip. 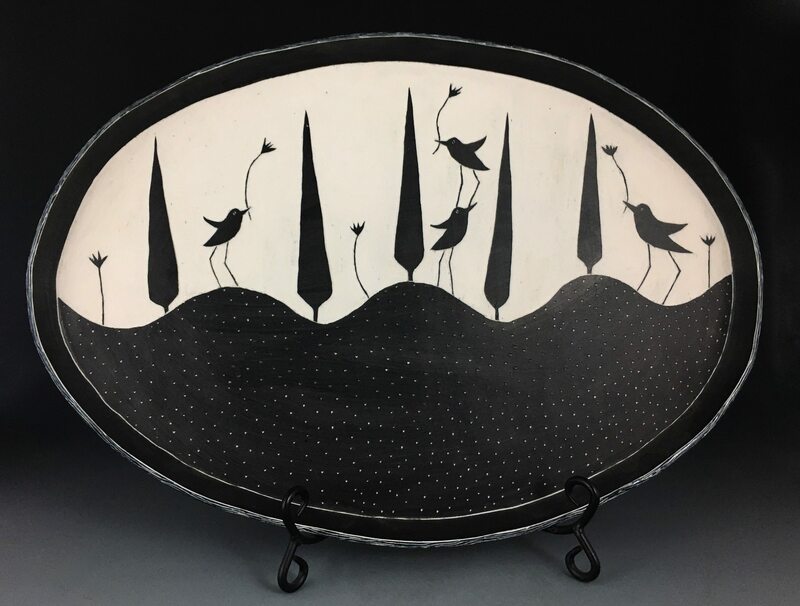 Here, Ozereko has left fine black lines of slip for the tulip stems and bird legs, and composed a dance of trees, birds, and flowers on an undulating hillside–all in black and white clay. What a celebration! 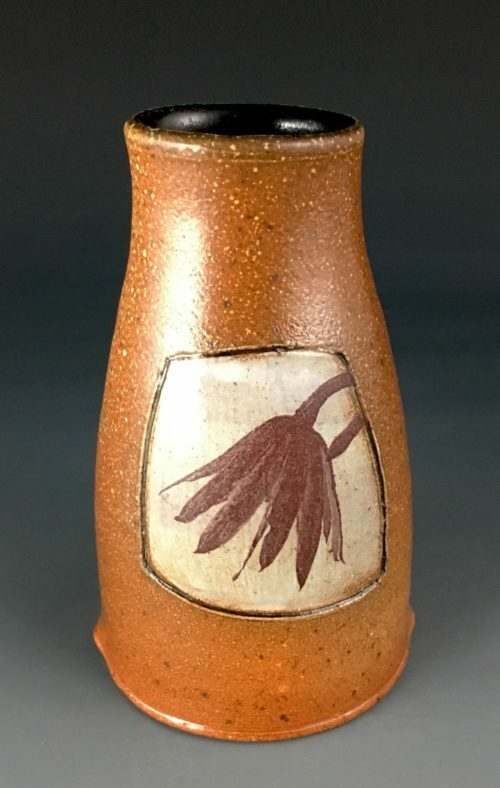 20″ x 14″. The rim rises up 1″.